This Photoshop plugin will generate Peter de Jong attractors. 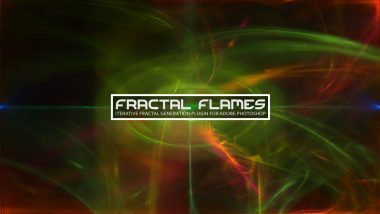 Peter de Jong Attractor is an ultra-fast and extremely powerful plugin for generating all types of Peter de Jong attractors in Adobe Photoshop. It is built upon the code supplied by the very talented Paul Bourke. This implementation of the Peter de Jong Attractor features iterations with preview and render multipliers for high resolution renders. It provides the user access to all four coefficients thereby offering a limitless number of possible shapes. Peter de Jong Attractor features basic color correction tools such as brightness and gamma. It also features a diffusion option that yields unique and striking results. Peter de Jong Attractor offers selectable axis control, color density mapping options and various coloring techniques including single color, double color, double blend and spectral coloring. Peter de Jong Attractor is 100% multi-threaded capable of using an unlimited number of cores for ultimate speed. 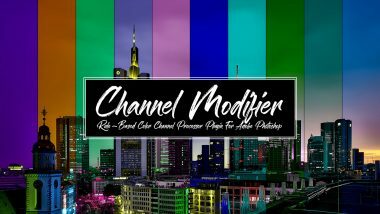 Peter de Jong Attractor supports both 8 bits / channel and 16 bits / channel color modes for professional workflows. Iterations: Defines the maximum number of cycles to compute. The more iterations performed, the more complete the final image will be, but the longer the computation. a,b,c,d: Adjusts the four coefficients that define the attractor shape. Brightness: Adjusts the brightness of the attractor. 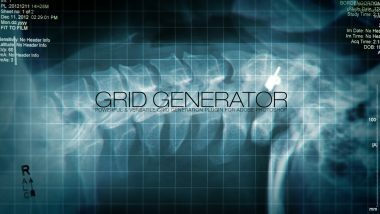 Gamma: Adjusts the midtones of the attractor. Diffusion: Controls the diffusion of the attractor. Similar to a scattering / blurring effect. Axis: Specifies which axis to plot the attractor on. Coloring Density: Specifies the color mapping mode. Each mode may bring out details not previously visible using other modes. Rnd: Randomizes the coefficients and generates a new fractal. Color A: Defines attractor color A. Color B: Defines attractor color B.
Rnd: Generates random attractor colors. Coloring Mode: Specifies the coloring mode. Single color uses color A. Double color uses color A & B. Double color maps the darker areas to color A and the brighter areas to color B. Spectral uses the full color spectrum using the HSL colorspace. Preview / Render Multipliers: Allows iteration multipliers for high resolution renders. v1.1 – Significantly increased possible number of samples for high resolution prints. v1.1 – Fixed bug in which integer overflow occured with high preview and/or render multipliers. v1.1 – Fixed bug in progress bar didn’t update when using high preview and/or render multipliers. v1.1 – Pressing escape allows user to abort rendering. v2.0 – Added axis selection. v2.0 – Added double blend color. v2.1 – Cleaned up help information.